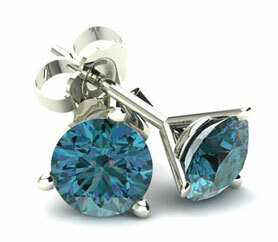 Blue diamond studs are an elegant take on a classic jewelry item. 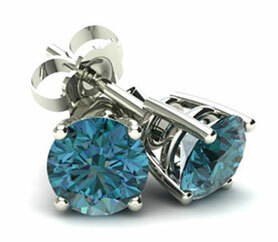 Give the gift of blue diamond studs to your loved one! 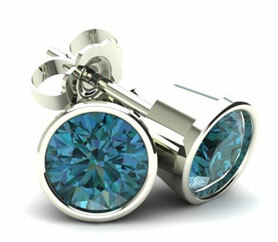 One of the most alluring and sought-after variations of diamonds, blue diamonds have long been valued for their sophistication and visual appeal. Our collection of blue diamond stud earrings channels the timelessly desirable and irresistibly contemporary look of this classic stone. Choose from a range of unique colors, carat weights, and styles to find the perfect set. Adhering to the highest standards of fine jewelry craftsmanship and design, each piece in our collection offers a unique expression of authenticity and elegance. 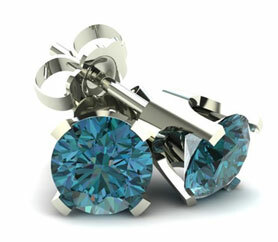 Our selection of blue diamond stud earrings includes a variety of styles, including classic four prong and basket set diamonds, unique martini style three prong settings, and round bezel set blue diamonds. Each style allows for a variety of options to ideally suit your tastes, including clarity, color, size, and carat weight. Whether you’re looking for a timeless yet cutting edge statement piece or a truly incredible gift for someone special, blue diamond stud earrings are a remarkable choice. 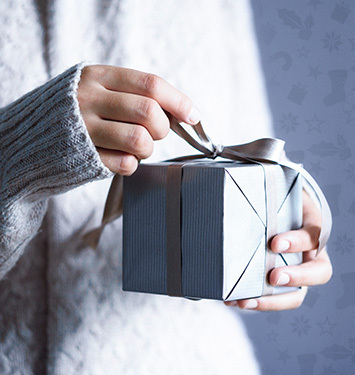 Each purchase is also accompanied by a complimentary gift box. We invite you to explore our entire collection of expertly crafted, high-quality blue diamond jewelry to discover the perfect piece.